Safetymatters: Nuclear safety culture information, analysis and management: The Mother of Bad Decisions? The Mother of Bad Decisions? This is not about safety culture, but it’s nuclear related and, given our recent emphasis on decision-making, we can’t pass over it without commenting. The steam generators (SGs) were recently replaced at Crystal River 3. This was a large and complex undertaking but SGs have been successfully replaced at many other plants. The Crystal River project was more complicated because it required cutting an opening in the containment but this, too, has been successfully accomplished at other plants. Cutting the opening resulted in delamination of the containment, basically the outer 10 inches of concrete separated from the overall 42-inch thick structure in an area near the opening. 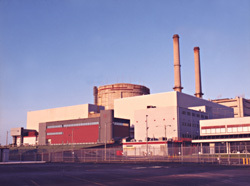 Repairing the plant and replacement power costs are estimated at more than $2.5 billion. ** It’s not clear when the plant will be running again, if ever. This is an open docket, i.e., the Florida PSC has not yet determined how much, if anything, the ratepayers will have to pay. Will the PSC believe that a Black Swan settled at the Crystal River plant? Or is the word “hubris” more likely to come to mind? * “Testimony & Exhibits of Jon Franke,” Fla. Public Service Commission Docket No. 100437-EI (Oct. 10, 2011). ** I. Penn, “Cleaning up a DIY repair on Crystal River nuclear plant could cost $2.5 billion,” St. Petersburg Times via tampabay.com website (Oct. 9, 2011). This article provides a good summary of the SG replacement project. *** For the detail-oriented, “. . . the technical root cause of the CR3 wall delamination was the combination of: 1) tendon stresses; 2) radial stresses; 3) industry design engineering analysis inadequacies for stress concentration factors; 4) concrete strength properties; 5) concrete aggregate properties; and 6) the de-tensioning sequence and scope. . . . another factor, the process of removing the concrete itself, likely contributed to the extent of the delamination. . . .” From “Testimony & Exhibits of Garry Miller,” Fla. Public Service Commission Docket No. 100437-EI (Oct. 10, 2011), p. 5.